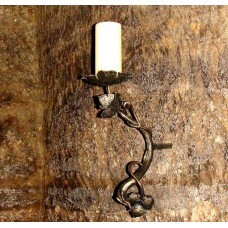 An exclusive hand forged candle holder, designed by nature, will decorate your house, restaurant, ho..
An exclusive hanging candle holder forged into a wagon wheel - a unique accessory that will stop t..
An exceptional wrought iron candle holder is a work of art that might become an exclusive decoration..
An exceptional work of art - TemptationThis forged candle holder expresses the beauaty of the paradi..
An exclusive wrought iron candle holder - Tree - a remarkable work of art created with passion..
A candle holder Crazy is a modern hand forged candle holder suitable as a gift..
A simple, modern wrought iron candle holder is an ideal gift for anybody..
A romantic candle holder intertwined with roses is a hand forged work of art that will please lover..
A hand forged candle holder - The heart intertwined with a rose looks simple and extraordinary. 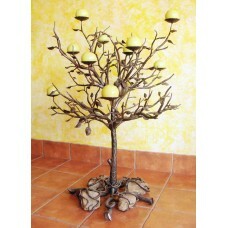 It m..
A wall wrought iron candle holder - A vine branch evokes the past..
A hand wrought iron candle holder with a natural motif of a vine branch for your table.. 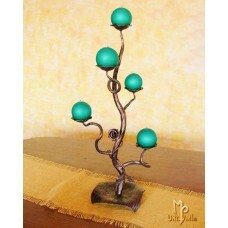 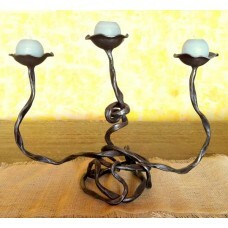 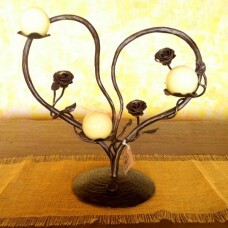 Create a fairy tale environment with a romantic wrought iron candle holder. 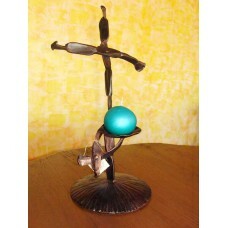 A perfect present for a ..
© 2019 Artistic blacksmith UKOVMI s.r.o.